NEENAH, Wis., November 16, 2017—BrandDirections is pleased to announce that it has won Brand Experience (BXP) Magazine’s 2017 Makeover Challenge, a national package design competition. BrandDirections was one of three agencies selected to take on this year’s challenge. 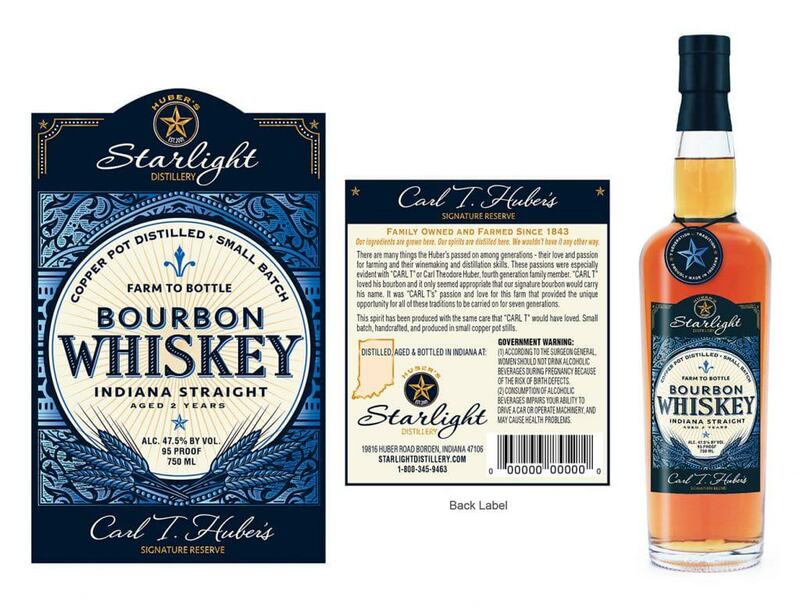 The agencies redesigned the top three spirits products, vodka, gin and bourbon whiskey for Indiana-based Huber Winery, specifically, its spirits line and sub-brand, Starlight Distillery. The main objective of the challenge was to develop a visual identity that could be extended from the primary redesigned products to the complete product line. 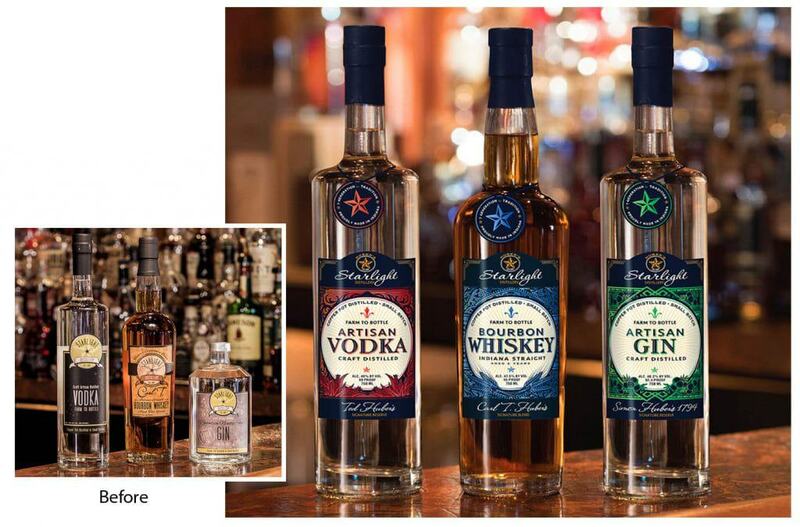 “We like to take a big picture holistic approach to branding,” said Deborah Rice, art director at BrandDirections. 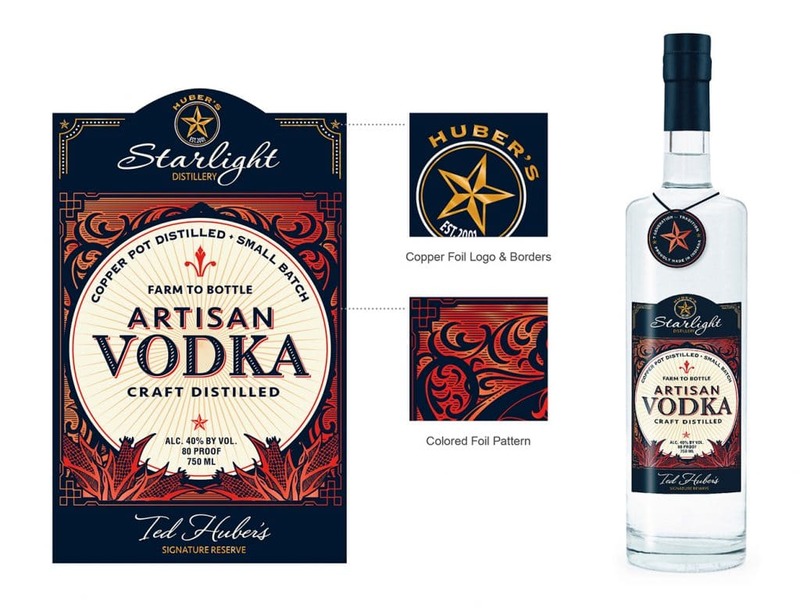 “We looked at the entire Huber organization as a brand and then focused on the Starlight Distillery brand logo. Although it wasn’t part of the challenge, we included some company-wide brand recommendations. 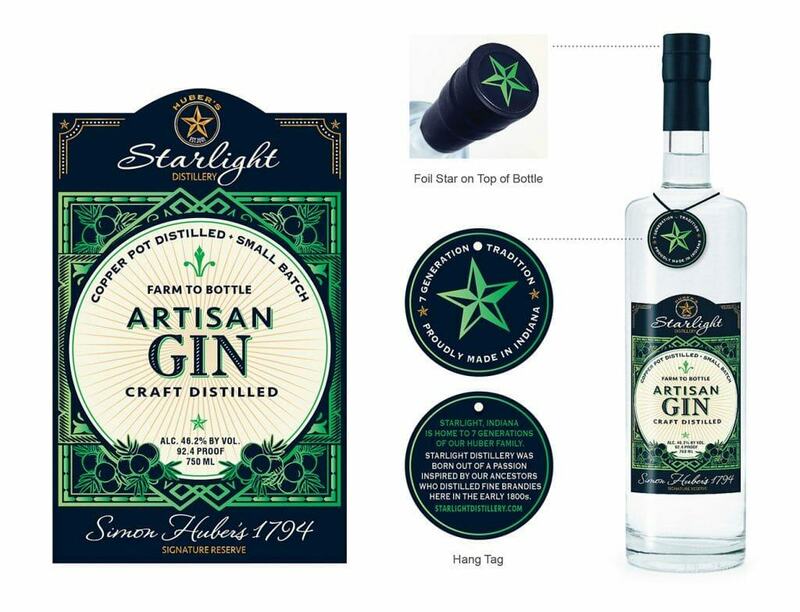 For example, through our research, we discovered a disconnect between the well-known Huber brand and the lesser-known Starlight brand. One recommendation was to ground the package design with a reference to the more recognized Huber name,” she continued. In its 14th year, the Makeover Challenge provides an opportunity to showcase packaging design expertise from around the country and demonstrate the power of design and its influence on how consumers experience brands. Readers voted on which concept and strategic approach they thought best met the objectives and displayed a unique design solution. “The test of a design is in how well your customers respond to your creation, says Sexton. “We focused on how to best achieve the client objectives laid out in the creative brief, and it’s gratifying to know voters affirmed our decisions reflected in our design concepts”. The magazine will feature the winning design in its year-end issue and will present an award to the agency at its annual Package Design Matters Conference in February. BXP, Brand Experience magazine (formerly Package Design Magazine), elevates the value of innovative and collaborative brand design as a strategic business competence to ultimately help brands deliver more relevant experiences that win new brand fans and maximize brand loyalty.